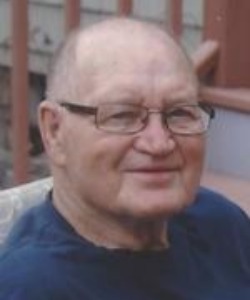 James "Jim" Samolinski, age 91, was born April 26, 1927, to Peter and Magdeline Samolinski in Antigo, Wisconsin and taken to eternal life on February 10, 2019. Jim married Elizabeth "Betty" DeBroux on August 26, 1950, having celebrated 68 years together. Jim and Betty raised their five children in Menasha moved to Shawano after Jim's retirement, then to Winneconne the last 12 years where Betty cared for Jim recently as he battled debilitating spinal stenosis. Jim is survived by his wife Betty, five children and twelve grandchildren: Craig (Pat) Samolinski, their children, Jill (Ken) Buchinger, Ben (Sarah) Samolinski, and Emily Samolinksi; Karen Knorr and sons, Jed Knorr, Nic (Shaun) Knorr, and Timm (Angie) Knorr; Karla Holewinski and children, Jodi Holewinski and Jerid (Megan) Holewinski; Jamie (Howard) Dunham and family, Jesica (Andy) King, Erin Dunham, Jordan (Emily) Dunham, Sam (Reanna) Dunham, and Katie Dunham. Jay (Cindy) Samolinski and daughter, Lea Samolinski. Jim is further survived by eighteen great-grandchildren and another expected in May. Preceding him in death were his parents, twin brother, two other brothers, two sisters, and recently a son-in-law, Roger Knorr. Jim served his country in WW II, enlisting in the U.S. Navy right out of high school and then for a second term in the Naval Reserves. Living life through a variety of activities and adventures was how Jim chose to approach life. He inspired his children and grandchildren to always try new things. He provided his family the opportunity to vacation regularly at Post Lake, waterski, snowmobile, fly-fish, hunt, golf, camp, play cards, and much more. Dad was always game to help with a multitude of projects, never hesitating to pick up a paint brush, hammer, or chain saw. He had an eagerness to stay active and involved in any events that brought family together. We'll miss you Dad, Grandpa, and Great-grandpa for your unique sense of humor and giving us your unconditional love and support! A visitation for family and friends will be on Tuesday, February 19, 2019, from 9:00 to 11:00 a.m. at St. Mary Catholic Church 210 Pleasant Dr. Winneconne. A funeral Mass will be held on Tuesday at 11:00 a.m. at the church with Fr. Matthew Rappl and Sr. Pam Biehl officiating. Military honors will follow. Burial will be in St. Mary's Cemetery, Menasha. A memorial will be established for Fr. Carr's Place 2B, Oshkosh. I am very sorry for your loss. You were great neighbors. I have wonderful memories of cookouts, playing limbo, and watching Jim practicing his archery in the backyard. Please know that you are all in our thoughts and prayers during this time, Jim is now at peace with the Lord, thanks be to God.